British musician Jeremy David Hounsell “Jerry” Dammers, was born 22 May 1955 in Ootacamund, Tamil Nadu, South India, He attended King Henry VIII School, Coventry. Dammers was a Mod in the 1960s, then became a hippie, before becoming a skinhead. He had been a member of The Cissy Stone Soul Band, and studied art at Coventry’s Lanchester Polytechnic (now Coventry University), where he met Horace Panter. He is a founder, keyboard player and primary songwriter of the Coventry, England based ska revival band The Specials, The Special A.K.A. and The Spatial AKA Orchestra. He also founded 2 Tone Records, which helped develop the 1970s/1980s ska revival. He became an anti-apartheid campaigner, helping to create Artists Against Apartheid in the U.S., and writing the song “Free Nelson Mandela” about the jailed African National Congress leader in South Africa. In 1985, in the wake of the Band Aid single, he organised the recording and release of the “Starvation” single, a version of The Pioneers’ 1969 song, in aid of famine relief in Africa, featuring members of The Special AKA, UB40, Madness, The Pioneers, and The Beat. In early 1986, he took part in the Red Wedge tour that also featured The Style Council, The Communards, Junior Giscombe, Lorna Gee and other special guests. He also introduced Simple Minds to producer Tony Hollingsworth and they became the first major act to agree to perform at Hollingsworth’s Nelson Mandela 70th Birthday Tribute concert, which was broadcast worldwide from London’s Wembley Stadium, on 11 June 1988. That same year, he briefly played with the re-formed Madness on their single “I Pronounce You” and its attendant album, The Madness. In October 2000 Dammers received Q Magazine’s Q Merit Award at London’s Park Lane Hotel. Dammers still regularly DJs in English nightclubs, as well as performing with his band, The Spatial AKA Orchestra, playing his own compositions and tributes to Sun Ra and other experimental jazz artists. The band features established jazz musicians Zoe Rahman, Larry Stabbins and Denys Baptiste. They perform in elaborate Ancient Egyptian and outer space-themed costumes, and share the stage with bizarre props such as model alien heads and mummy Sarcophagi. Renowned trombonist Rico Rodriguez also featured in a number of shows. In November 2006, Dammers was awarded an honorary degree from Coventry University, celebrating by DJing at the launch party of the Coventry branch of the Love Music Hate Racism organisation. In the same month, he attended a private viewing of a Harry Pye curated art exhibition in east London that featured paintings of bands and singers that had once been championed by the late BBC Radio 1 DJ John Peel. Dammers read out a four-page poem, in which he thanked Peel for helping his own band, and for supporting black musicians. Carl Barât of The Libertines included a Dammers composition, “Too Much Too Young”, on his personal compilation album Under The Influence. Pete Doherty, former member of The Libertines, namechecked “What I Like Most About You is Your Girlfriend” on Down in Albion, the first Babyshambles album. The song “Merry Go Round” contains the lyrics “He says, ‘What I like most about you, Pete/Is your girlfriend and your shoes.’” Those who have recorded a song written by Dammers include Tricky (“Ghost Town”), The Prodigy (“Ghost Town”) and Elvis Costello (“What I Like Most About You Is Your Girlfriend”). Dammers has produced singles for Robert Wyatt, The Untouchables, UB40 and Junior Delgado. He contributed “Riot City” to the soundtrack of the Julien Temple film, Absolute Beginners, and “Brightlights” to the compilation album Jamming: A New Optimism. 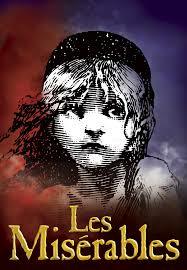 The shortest correspondence in history is said to have been between Hugo and his publisher Hurst and Blackett Following the publication of Les Misérables in 1862. Hugo was on vacation when. He queried the reaction to the work by sending a single-character telegram to his publisher, asking “?”. The publisher replied with a single “!” to indicate its success.After the success of Les Misérables Hugo turned away from social/political issues for his next novel, Les Travailleurs de la Mer (Toilers of the Sea), published in 1866, which depicts Man’s battle with the sea and the horrible creatures lurking beneath its depths and this spawned an unusual fad in Paris: Squids. From squid dishes and exhibitions, to squid hats and parties, Parisians became fascinated by these unusual sea creatures, which at the time were still considered by many to be mythical. Hugo returned to political and social issues in his next novel, L’Homme Qui Rit (The Man Who Laughs), which was published in 1869 and painted a critical picture of the aristocracy.His last novel, Quatre-vingt-treize (Ninety-Three), published in 1874, dealt with a subject that Hugo had previously avoided: the Reign of Terror during the French Revolution. 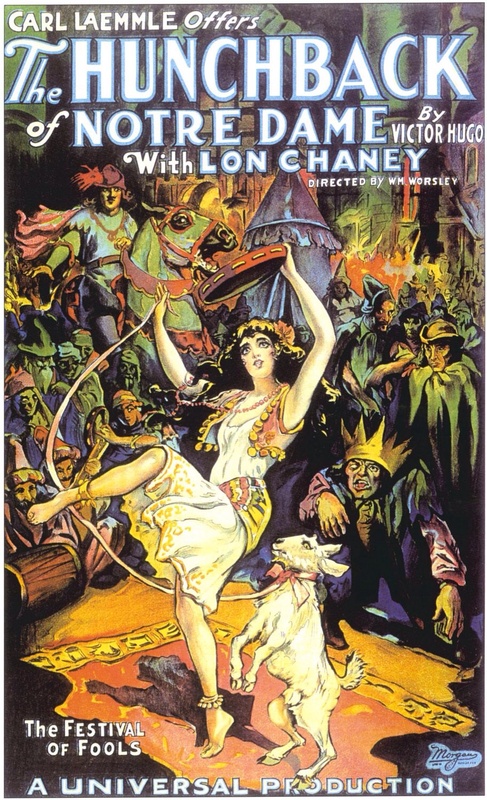 Though Hugo’s popularity was on the decline at the time of its publication, many now consider Ninety-Three to be a work on par with Hugo’s better-known novels. Hugo is still considered one of the most well-known French Romantic writers. In France, Hugo’s literary fame comes first from his poetry but also rests upon his novels and his dramatic achievements. Among many volumes of poetry, Les Contemplations and La Légende des siècles stand particularly high in critical esteem. Outside France, his best-known works are the novels Les Misérables, 1862, and Notre-Dame de Paris, 1831 (known in English as The Hunchback of Notre-Dame). May 22 has been designated World Goth Day. The Official World Goth Day site defines it as “a day where the goth scene gets to celebrate its own being, and an opportunity to make its presence known to the rest of the world.” World Goth Day originated in the United Kingdom in 2009. BBC Radio 6 was looking at a number of music subcultures throughout a week in May, including Goth music. Goth DJs Cruel Britannia and Martin OldGoth got an event up and running. It was decided that May 22 would be the day when this event would be held regularly. The tradition continued and spread outside the United Kingdom, with a website being initiated to coordinate and advertise events worldwide. The goth subculture is a contemporary group of people within a culture who adopt fashion elements such as black clothing, dyed black hair, dark eyeliner, black fingernails and black period-styled clothing and a focus on gothic rock and a range of other music genres. The goth subculture, which is found in many countries in the 2010s, began in England during the early 1980s in the gothic rock scene, an offshoot of the post-punk genre. Notable post-punk groups that presaged that genre are Siouxsie and the Banshees, Joy Division and Bauhaus. The goth subculture has survived much longer than others of the same era, and has continued to diversify. Its imagery and cultural proclivities indicate influences from the 19th century Gothic literature along with horror films. The term “gothic rock” was coined in 1967 by music critic John Stickney to describe a meeting he had with Jim Morrison in a dimly lit wine-cellar which he called “the perfect room to honor the Gothic rock of the Doors”. 1967 Velvet Underground released “All Tomorrow’s Parties”, and created a kind of “mesmerizing gothic-rock masterpiece”. In the late 1970s, the “gothic” adjective was used to describe the atmosphere of post-punk bands like Siouxsie and the Banshees, Magazine and Joy Division, and parallels and comparisons can be drawn with gothic rock architects like the Doors and, certainly, early Velvet Underground”. In March 1979, Magazine’s second album Secondhand Daylight, contained an austere sense of authority” with a “dank neo-Gothic sound”. The term was also used by Joy Division’s manager, Tony Wilson who described Joy Division as “gothic” compared to the pop mainstream and The term was also applied to “newer bands such as Bauhaus and Siouxsie and the Banshees”. Bauhaus’s 1979 single, “Bela Lugosi’s Dead”, is generally credited as the starting point of the gothic rock genre. Joy Division were also described as “Gothic” and “theatrical” and “masters of this Gothic gloom”. However, it was not until the early 1980s that gothic rock became a coherent music subgenre and recognisable movement within post-punk asisted by 1981 article published in UK rock weekly Sounds: “The face of Punk Gothique”, In July 1982, the opening of the Batcave in London’s Soho provided a prominent meeting point for the emerging scene, labelled “positive punk” The term “Batcaver” was then used to describe old-school goths. During the early 1980’s Deathrock also developed in California as a distinct branch of American punk rock, with acts such as Christian Death and 45 Grave. World Goth Day celebrates the Goth subculture and the many Aspects of the culture like fashion, music and art are celebrated by fashion shows, art exhibitions and music performance. Many of the events feature local Goth bands, and some have taken on a charity aspect with events in the United Kingdom and Australia supporting favoured charities like the UK Sophie Lancaster Foundation, a charity that tries to curb prejudice and hatred against subcultures. The event has evolved to be now celebrated by goths all around the world, including the United Kingdom, United States, Canada, Australia, Singapore, Brazil, Mexico, Spain, Macedonia and South Africa. The Laurence Olivier Awards, organised by The Society of London Theatre, were renamed in his honour in 1984.Though he was a knight, a life peer, and one of the most respected personalities in the industry, Olivier insisted he be addressed as “Larry”, which he made clear he preferred to “Sir Laurence” or “Lord Olivier”. In 1999, the American Film Institute named Olivier among the Greatest Male Stars of All Time, at number 14 on the list. Sadly Olivier died at his home in Steyning, West Sussex, England, from renal failure on 11 July 1989. He was survived by his son Tarquin from his first marriage, as well as his wife Joan Plowright and their three children. He was cremated and his ashes interred in Poets’ Corner in Westminster Abbey, London. Olivier is one of only a few actors, along with David Garrick, Henry Irving, Ben Jonson and Sybil Thorndike to have been accorded this honour. Olivier is buried alongside some of the people he portrayed in theatre and film, for example King Henry V, General John Burgoyne and Air Chief Marshal Hugh Dowding. Fifteen years after his death, Olivier once again received star billing in a film. Through the use of computer graphics, footage of him as a young man was integrated into the 2004 film Sky Captain and the World of Tomorrow in which played the villain. 🔍🎻Scottish physician and writer Sir Arthur Conan Doyle, was born 22nd May 1859. He is most noted for his stories about the detective Sherlock Holmes, generally considered a milestone in the field of crime fiction, and for the adventures of Professor Challenger. He was a prolific writer whose other works include science fiction stories, plays, romances, poetry, non-fiction and historical novels. He was born at 11 Picardy Place, Edinburgh, Scotland and was sent to the Roman Catholic Jesuit preparatory school Hodder Place, Stonyhurst, at the age of nine (1868-1870). He then went on to Stonyhurst College until 1875. From 1875 to 1876 he was educated at the Jesuit school Stella Matutina in Feldkirch, Austria.From 1876 to 1881 he studied medicine at the University of Edinburgh, including periods working in Aston in Birmingham, Sheffield and Ruyton-XI-Towns in Shropshire . While studying, Conan Doyle began writing short stories. His earliest extant fiction, “The Haunted Grange of Goresthorpe”, was unsuccessfully submitted to Blackwood’s Magazine. His first published piece “The Mystery of Sasassa Valley”, a story set in South Africa, was printed in Chambers’s Edinburgh Journal on 6 September 1879. In 1881, he also published his first non-fictional article, “Gelsemium as a Poison” in the British Medical Journal and In 1882 he joined a former classmate at a medical practice in Plymouth, but Conan Doyle soon left to set up an independent practice. Arriving in Portsmouth in June of that year, he set up a medical practice in Southsea, and While waiting for patients, Conan Doyle again began writing stories and composed his first novels, The Mystery of Cloomber, not published until 1888, and the unfinished Narrative of John Smith, which would go unpublished until 2011. He amassed a portfolio of short stories including “The Captain of the Pole-Star” and “J. Habakuk Jephson’s Statement”, both inspired by Doyle’s time at sea. His first significant piece, A Study in Scarlet, appeared in the Beeton’s Christmas Annual. The story featured the first appearance of Dr Watson and Sherlock Holmes. A sequel to A Study in Scarlet called The Sign of the Four appeared in Lippincott’s Magazine in February 1890. Conan Doyle then went on to write many more Sherlock Holmes short stories including A Scandal in Bohemia, A Case of identity, The Red Headed league, The Boscombe Valley Mystery, The Man with the Twisted Lip and The Five Orange Pips. In 1890 after studying ophthalmology in Vienna, Conan Doyle moved to London, first living in Montague Place and then in South Norwood. He set up a practice as an ophthalmologist. He wrote in his autobiography that not a single patient crossed his door. This gave him more time for writing, and in November 1891 he wrote to his mother: “I think of slaying Holmes… and winding him up for good and all. He takes my mind from better things.” His mother responded, “You won’t! You can’t! You mustn’t!”In December 1893, in order to dedicate more of his time to what he considered his more important works (his historical novels), Conan Doyle had Holmes and Professor Moriarty apparently plunge to their deaths together down the Reichenbach Falls in the story “The Final Problem”. Public outcry, however, led him to bring the character back in 1901, in The Hound of the Baskervilles, though this was set at a time before the Reichenbach incident. In 1903, Conan Doyle published his first Holmes short story in ten years, “The Adventure of the Empty House”, in which it was explained that only Moriarty had fallen; but since Holmes had other dangerous enemies—especially Colonel Sebastian Moran—he had arranged to also be perceived as dead. Holmes ultimately was featured in a total of 56 short stories and four Conan Doyle novels, and has since appeared in many novels and stories by other authors. ‘The Final Problem’ was published in 1913 and ‘The Valley of Fear’ was serialised in 1914. Conan Doyle sadly passed away on 7 July 1930. after having a heart attack at the age of 71. His last words were directed toward his wife: “You are wonderful.” The epitaph on his gravestone in the churchyard reads, in part: “Steel true/Blade straight/Arthur Conan Doyle/Knight/Patriot, Physician, and man of letters”. A statue honours Conan Doyle at Crowborough Cross in Crowborough, where he lived for 23 years and There is also a statue of Sherlock Holmes in Picardy Place, Edinburgh, close to the house where Conan Doyle was born. His Sherlock Holmes stories remain popular today and have also been adapted for screen and television multiple times, with actors such as Basil Rathbone, Peter Cushing, Jeremy Brett and Robert Downey Jnr portraying Sherlock Holmes. In addition Many authors including Anthony Horowitz have since written more Sherlock Holmes novels with the blessing of the Conan Doyle estate. The International Day for Biological Diversity (or World Biodiversity Day) takes place annually on May 22. It is a United Nations–sanctioned international day for the promotion of biodiversity issues. Created by the Second Committee of the UN General Assembly in 1993 until 2000, it was held on December 29 to celebrate the day the Convention on Biological Diversity went into effect. Biodiversity, is a portmanteau of “biological diversity,” and generally refers to the variety and variability of life on Earth. According to the United Nations Environment Programme, biodiversity typically measures variation at the genetic, the species, and the ecosystem level. Terrestrial biodiversity tends to be greater near the equator, which seems to be the result of the warm climate and high primary productivity. Biodiversity is not distributed evenly on Earth, and is richest in the tropics. These tropical forest ecosystems cover less than 10 per cent of earth’s surface, and contain about 90 percent of the world’s species. Marine biodiversity tends to be highest along coasts in the Western Pacific, where sea surface temperature is highest and in the mid-latitudinal band in all oceans. There are latitudinal gradients in species diversity. Biodiversity generally tends to cluster in hotspots, and has been increasing through time,but may slow in the future. Rapid environmental changes typically cause mass extinctions. More than 99.9 percent of all species, amounting to over five billion species, that ever lived on Earth are estimated to be extinct. Estimates on the number of Earth’s current species range from 10 million to 14 million, of which about 1.2 million have been documented and over 86 percent have not yet been described. More recently, in May 2016, scientists reported that 1 trillion species are estimated to be on Earth currently with only one-thousandth of one percent described.The total amount of related DNA base pairs on Earth is estimated at 5.0 x 1037 and weighs 50 billion tonnes. In comparison, the total mass of the biosphere has been estimated to be as much as 4 TtC (trillion tons of carbon). In July 2016, scientists reported identifying a set of 355 genes from the Last Universal Common Ancestor (LUCA) of all organisms living on Earth. The period since the emergence of humans has displayed an ongoing biodiversity reduction and an accompanying loss of genetic diversity. Named the Holocene extinction, the reduction is caused primarily by human impacts, particularly habitat destruction. Conversely, biodiversity impacts human health in a number of ways, both positively and negatively. The United Nations designated 2011–2020 as the United Nations Decade on Biodiversity.